To what extent does research on musical development impact on educational practices in school and the community? Do musicians from classical and popular traditions develop their identities in different ways? What do teachers and learners take into consideration when assessing progress? This book takes a fresh look at 'the musician' and what constitutes 'development' within the fields of music psychology and music education. In doing so, it explores the relationship between formative experiences and the development of the musician in a range of music education settings. It includes the perspectives of classroom teachers, popular musicians, classical musicians and music educators in higher education. Drawn from an international community of experienced educators and researchers, the contributors offer a range of approaches to research. From life history through classroom observation to content analysis, each section offers competing and complementary perspectives on contemporary practice. 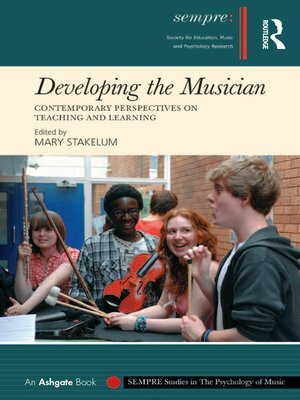 The book is an essential resource for musicians, educators, researchers and policy makers, offering insight into the reality of practice from those working within established traditions - such as the conservatoire and school settings - and from those who are currently emerging as significant forces in the fields of popular music education and community music.